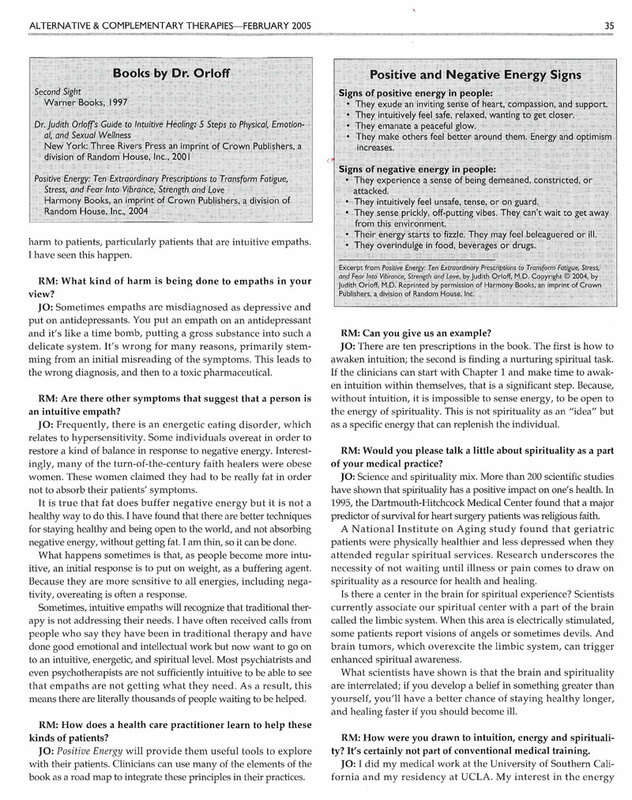 Energy psychiatry is a new form of psychotherapy that addresses the subtle energetic underpinnings of health and behavior. In Western society we have become used to ongoing states of fatigue, chronic pain, and emotional and spiritual depletion. These states represent an acute energy depletion and a chronically tired existence. I coined the term Energy Psychiatry to represent the combination of conventional medicine, intuition, energy, and spirituality. 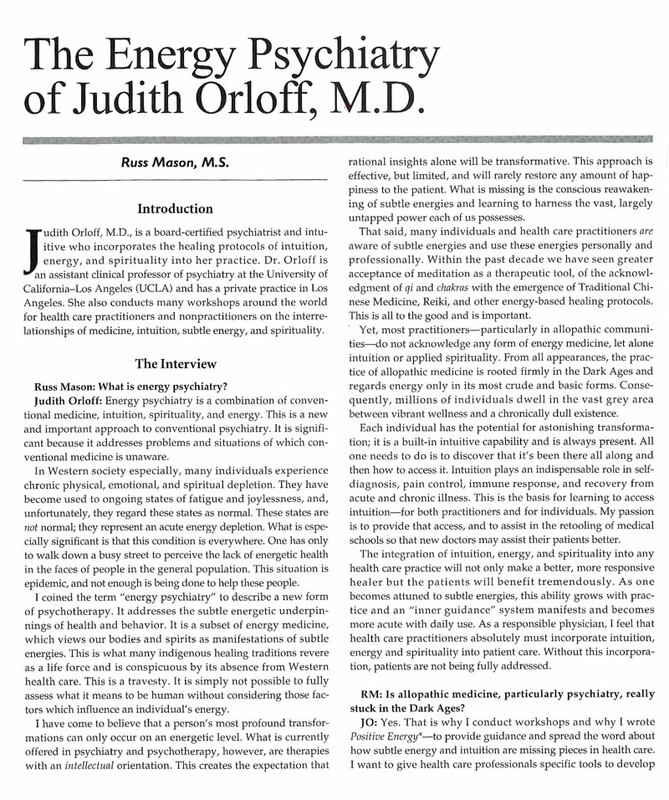 Most practitioners do not acknowledge energy medicine, let alone intuition or applied spirituality. I have come to know that a person’s most profound transformations can occur on an energetic level. Just using intellectual insights alone with patients will not restore happiness. Subtle energy and intuition are two missing pieces in health care. Intuition is a potent form of inner wisdom not mediated by the rational mind. It is an unflinching truth teller. Many people, as they move into adulthood, sense that something is missing in their life. What they’re looking for is that voice of wisdom- that can only be found inside of ourselves. This intuition also plays a critical role in self diagnosis, pain control, immune response, and recovery from chronic illness. When a health care practitioner embraces their own intuitive abilities, and helps their patients to embrace their own intuition, the healing journey can really begin. 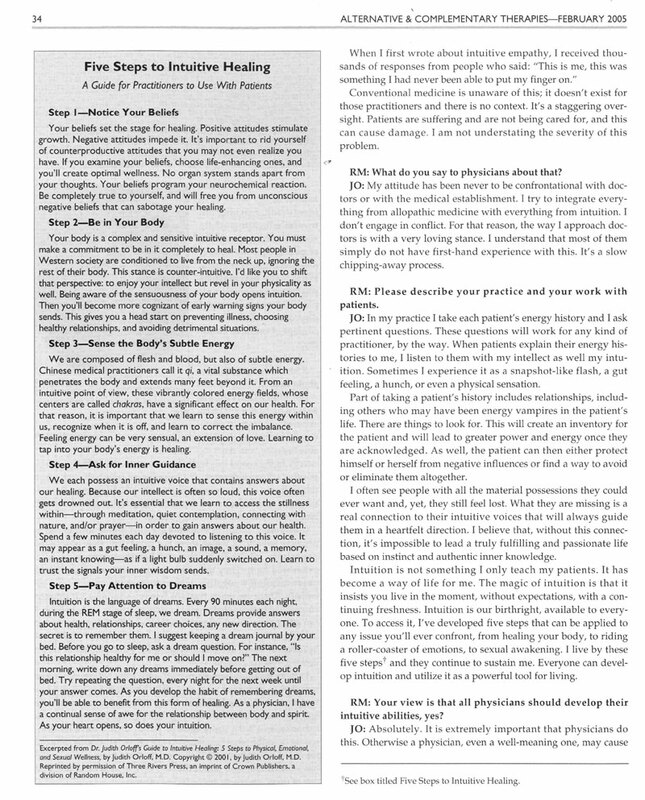 In my interview with Alternative & Complementary Therapies, I share how I help patients with Energy Psychiatry so that they can lead a fulfilling and passionate life based on their authentic inner knowledge.